Let's talk about this year's trend, the stylish and classy skirts from stylewe. In this post, I'm going to select stylewe favourites with outfit on point photos. See what suits you below and comment your bets. Here's to never ending supply of classy trendy apparel, StyleWe. 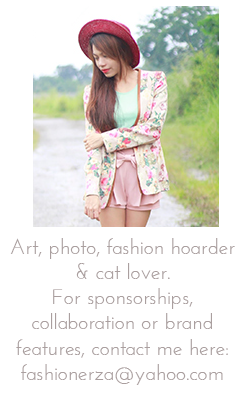 This is an online fashion shopping platform featuring independent fashion designers. Update your closet now for stylewe modern and classy items 'cause they provide shoppers with original, high quality, and exclusive fashion products from independent designers. By working with cutting edge independent fashion designers from around the world, and combining them with their high quality production and digital marketing capabilities, they will turn the fashion designers’ dreams into reality by providing high fashion to customers worldwide. This baby is such a classy piece. 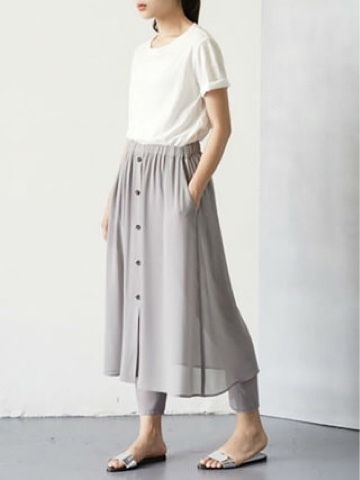 The perfect minimalist grey buttoned skirt. I would love to wear this in three unbottoned above the knee. 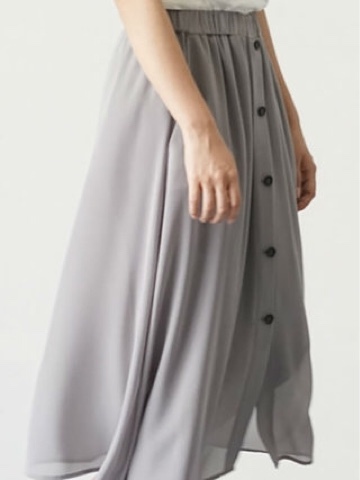 You will master the less-is-more trend with wearing this grey stylewe favorite by clicking the link here: https://www.stylewe.com/category/skirts-78. The trend toward minimalism is giving us a vibe that is hard to forget. Those who don't like maxi dresses will surely love boho maxi skirts with a twist. This edgy piece is a must-have in every season. This boho flowing skirts that rustle with the slightest hint of wind is perfect for bloggers like me. This piece is such an instagram-worth post. Cheers to this happy rad colour. Wear army green like a stret style star. You can never wear too much army green so pick one that flaunts your legs. Sure this military trend is having a comeback this season and we are so loving this holy menstrend versatile piece. Love that first skirt! Great post!